Counter Logic Gaming. The team that started it all for North America. The very first dominant team in League of Legends history. Before neo-Fnatic, before the UZIs, the Fakers, the Bjergsens, the WeiXiaos, and even before Team SoloMid… there was CLG. The best that NA had to offer. That CLG was nowhere to be seen for over 3 years now. The community at large called them washed up. UNTIL THEY WON THE 2015 NORTH AMERICAN LCS SUMMER SPLIT! Counter Logic Gaming. The bag of crushed dreams that George “HotshotGG” Georgallidis could barely keep afloat. The perpetual dump for memes about throwing, wasted potential, being salty, being over the hill. 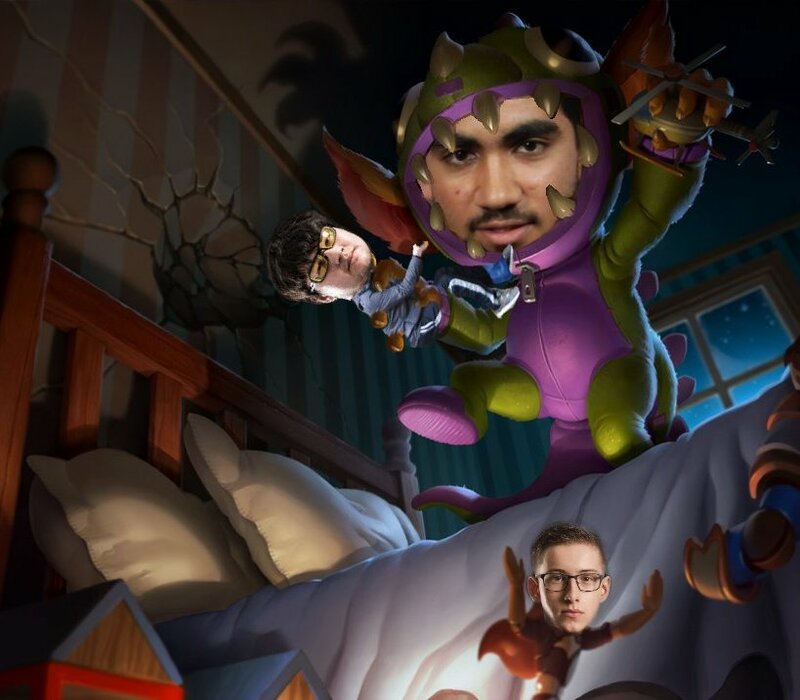 The retirement trap that Yiliang “Doublelift” Peng refuses to escape. 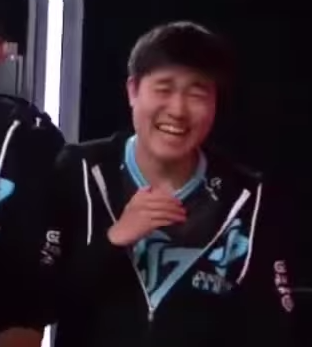 This was the CLG that presented itself every LCS split. Fans would get hyped, the games would start off strong, and surely enough, CLG would falter during the playoffs. No matter how good they looked, they could always be counted on to fail at the last hurdle. UNTIL THEY WON THE 2015 NORTH AMERICAN LCS SUMMER SPLIT!! Counter Logic Gaming. A team with such a revolving door of top laners and junglers that nobody would acknowledge the carry threat that Darshan “ZionSpartan” Upadhyaha was packing. Nobody could look past the whiffed skillshots of Jake “Xmithie” Puchero. Everyone was so hung up over the past drama and misgivings of old mid laners to appreciate the clean slate in Eugene “Pobelter” Park. The CLG that was written off as 5 disparate pieces that could never form a team quietly came together and formed a brotherhood under the noses of doubters, haters and naysayers as they WON THE 2015 NORTH AMERICAN LCS SUMMER SPLIT!!! CLG put on a masterful performance beyond anyone’s wildest expectations. As if all the years of ridicule were fuel for a fire inside them, they managed a complete an utter dismantling of anything their eternal rivals had planned. TSM were once again put on tilt by a surprise top lane pick as series MVP ZionSpartan got in their heads with a Yasuo in game 1. Forced to pick it themselves, TSM fumbled building their own Yasuo composition, and Søren “Bjergsen” Bjerg was neutered. TSM’s greatest carry, field leader and shining light amassed an embarrassing 4 kills, 14 deaths and 19 assists in the 3 games. Yes, you read that right, 3 games. TSM, the 3-time LCS champs, were clean swept by the rivals they were all too ready to write off as an easy win. CLG fans rejoice! CLG will advance to the Season 5 World Championships as NA’s #1 seed. The (no doubt salty) TSM fans will be happy to know that TSM already qualified for Worlds via Championship Points, so we’ll still see North America’s favorites at Worlds. Team Liquid fans who were hoping for a TSM win so their team would qualify as #2 (having gained enough points after winning 3rd place against Team Impulse) will have to wait for the Regional Qualifier, where Liquid will only need to win one more best of 5 to make it as the #3 seed. But what all this ultimately means is that at least for now, CLG is safe. 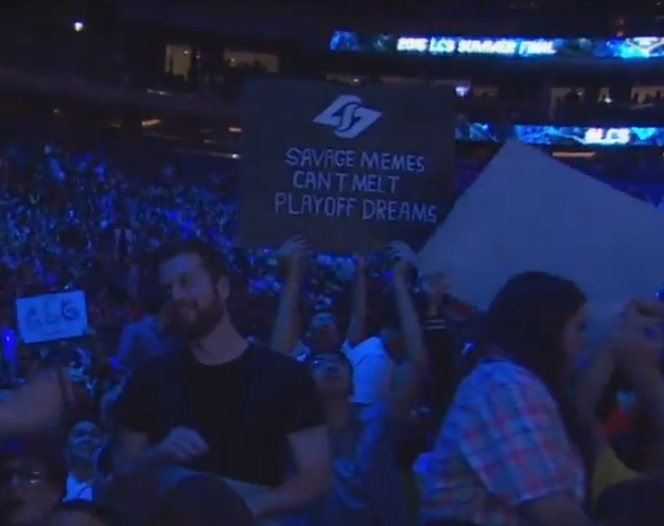 The memes can stop. The history, nay, the entire face of North American League of Legends has been changed forever.